Project 365: I <3 X Factor Kapamilya Advertiser Edition! (Day 166) | Viva La Vida! 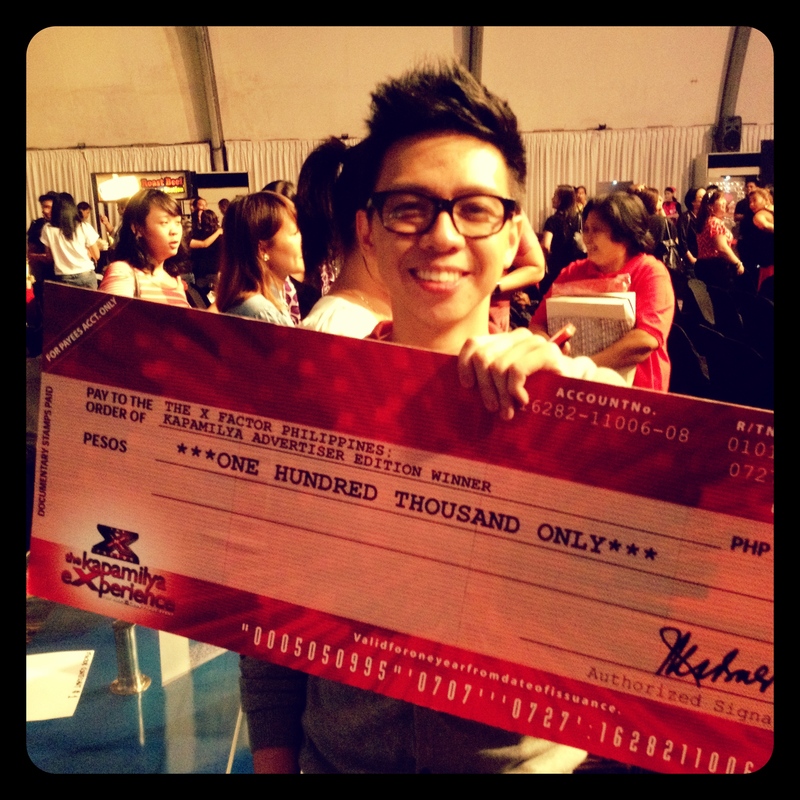 Congratulations to my dear friend, Jolly Estaris of Mediacom, in winning the X Factor Kapamilya Advertiser Edition! He sang “I Don’t Want To Be” and was mentored by Gary Valenciano. This entry was posted in Music, My Day Job, Project 365 and tagged ABS-CBN, music, project 365, work, X Factor by Roxanne Calingo. Bookmark the permalink.